What a day! Yesterday was positively glorious — 70 degrees, abundantly sunny, and so relaxing. I had an early morning run outside, and then AW came over and we started the day with some tasty steel-cut oats with cinnamon, apples, raisins and walnuts (AW thought they tasted too healthy, but eventually he’ll learn). We ran some quick errands (I actually had to go out and buy some shorts and sandals, because I hadn’t brought them to school yet this year! ), and then spent the afternoon strolling along the Charles River. It was so nice and peaceful, and the sun felt amazing. After our walk we checked out a fantastic local cheese shop and picked up some fresh bread from one of our favorite bakeries — along with the fruit salad I threw together in the morning, it was a perfect picnic meal! We sat on the river bank pictured here, and enjoyed our abundance of goodies. Such a wonderful day. We ended the day with some fresh-baked Spring-time Brownies. 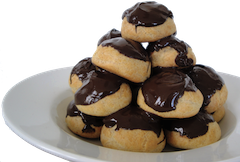 I found this recipe on Brown-Eyed Baker a few days ago, and was completely intrigued. The recipe, originally from Cooks Illustrated Magazine, claimed to produce a brownie that tastes just like a brownie from a box. 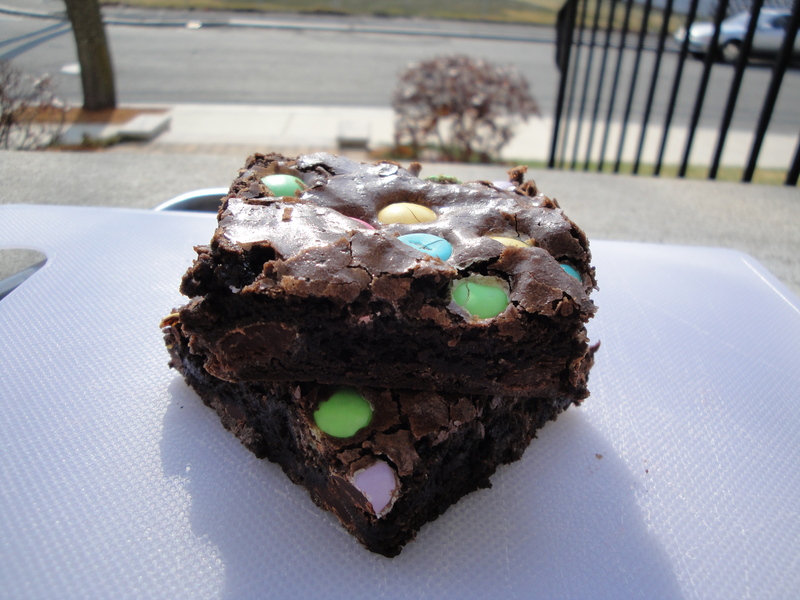 Apparently the majority of people polled said that they preferred the taste of boxed-mix brownies to any of the homemade variety, so the cooks in America’s Test Kitchen set out to make a homemade version of the American Favorite. I guess the key is something having to do with the ratio of different types of fats, but the chemistry is still a bit beyond me. The most important thing was the actual outcome, and I’m delighted to report, these brownies tasted exactly like the ones that come out of a box, only so much better because I made them myself. I even put dark chocolate Easter M&M’s in them to represent the first day of spring! 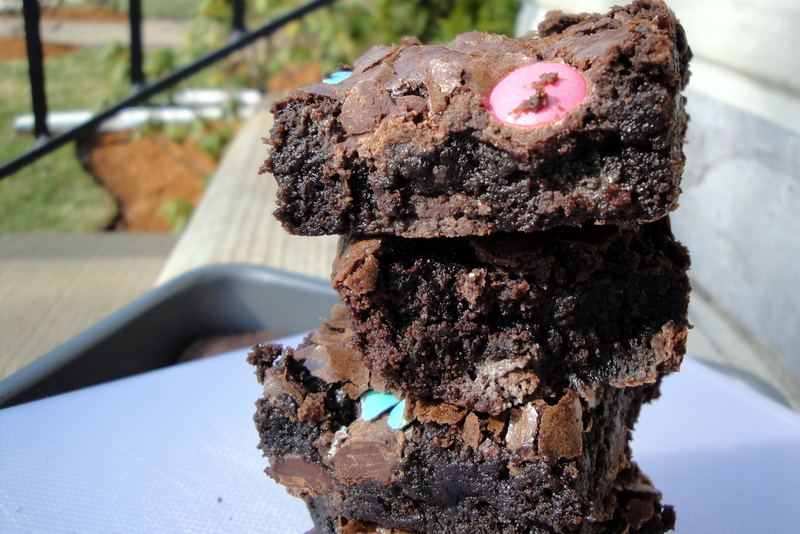 The bright pastels nestled into the fudgy chocolate brownies made for some pretty fab brownies. And they’re super easy too — you mix all of the ingredients together in just one bowl! Delicious and easy — this recipe is sure to become my go-to-brownie recipe from here on out. I didn’t make any alterations to the original recipe, which you can find here. I’ve posted it below as well, so you can get to making these brownies faster! Whisk cocoa, espresso powder, and boiling water together in large bowl until smooth. Add unsweetened chocolate and whisk until chocolate is melted. Whisk in melted butter and oil. (Mixture may look curdled.) Add eggs, yolks, and vanilla and continue to whisk until smooth and homogeneous. Whisk in sugar until fully incorporated. Add flour and salt and mix with rubber spatula until combined. Fold in bittersweet chocolate pieces. Using foil overhang, lift brownies from pan. Return brownies to wire rack and let cool completely, about 1 hour. Cut into 2-inch squares and serve. Brownies can be stored in an airtight container at room temperature for up to 4 days. I’m salivating slightly just looking at these brownies, and imaging them sitting in my kitchen calling out my name. THEY ARE SO GOOD. 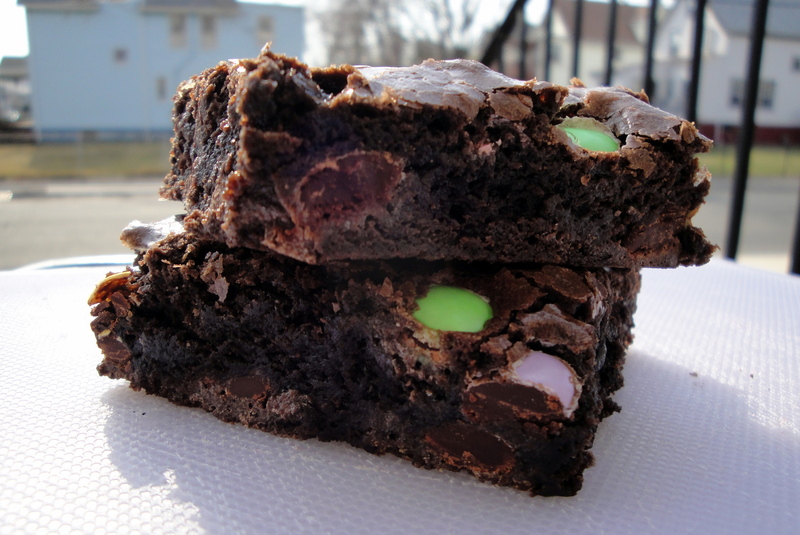 Even though I just munched on a few of the leftover m&m’s, I might actually have to get a brownie in a few minutes — they are too good to pass up. And such a springy treat! I just can’t get enough.